We often need help focussing on the people God's placed in our life. That's why the MissionHub team created Focus Your Week. Now one tap let's you choose up to three steps you want to take this week. You can do this right on the Steps screen when you login! You choose your steps. 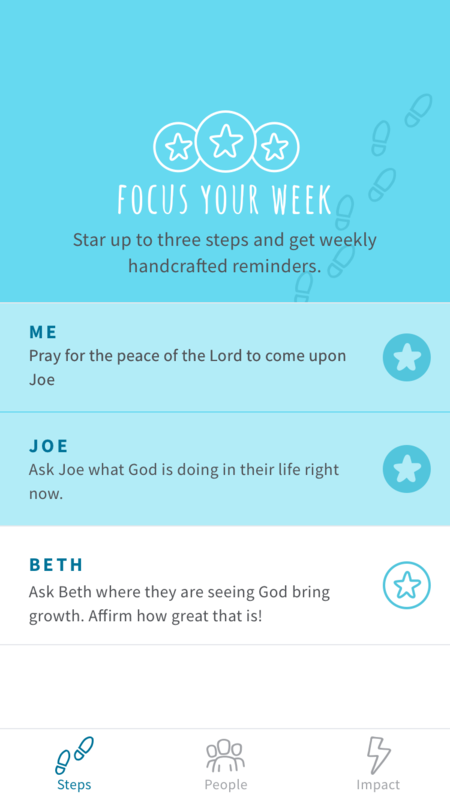 We send you handcrafted reminders. No-one gets forgotten.